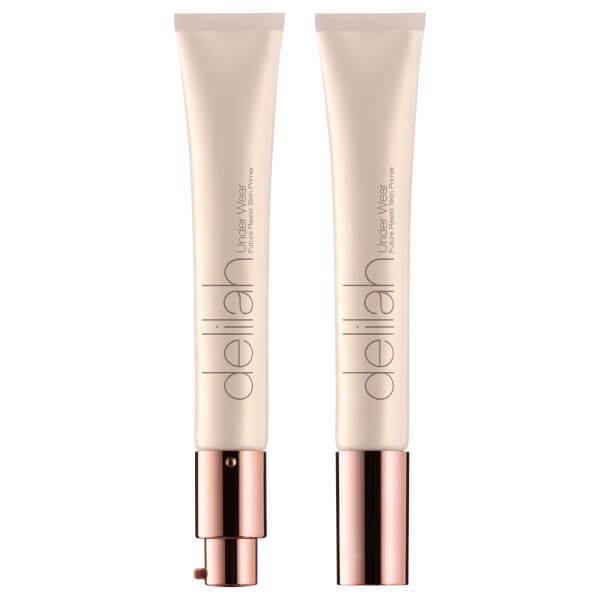 Perfect and prolong your makeup with delilah's Under Wear Future Resist Foundation Primer, a silky, serum makeup primer that preps skin for flawless, long-wearing makeup. 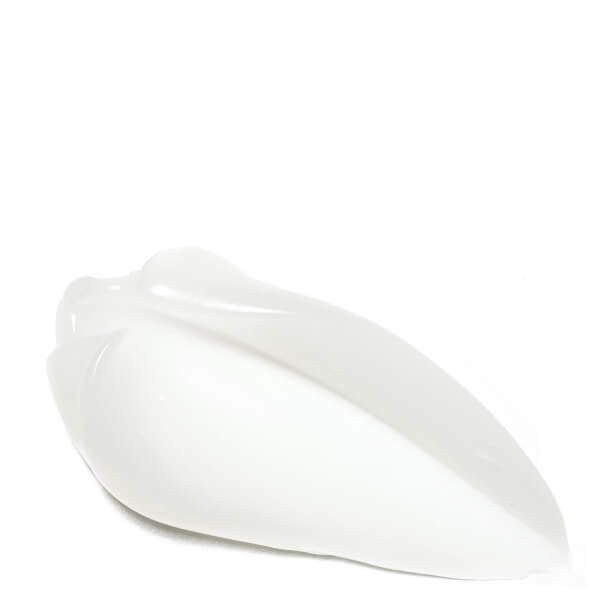 Feeling fresh and silky on application, the primer creates the perfect canvas for makeup application; it paves the way for smooth application, a flawless finish and prolonged wear. Infused with Peptides, the primer also helps to diminish the appearance of lines and wrinkles, plumping and smoothing the look of skin for a softer, younger-looking complexion. Makeup looks flawless and freshly applied for longer. Paraben free and dermatologically tested. Not tested on animals. 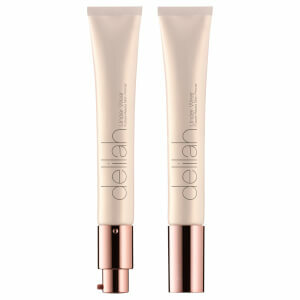 Apply two pumps of Under Wear primer into the palm of the hand and apply to the face using finger tips. Apply down the centre panel of the face and blend outwards. Pay particular attention to areas of the skin where foundation can be difficult to apply. Aqua, Dimethicone, Cyclomethicone, Propanediol, Dimethicone Crosspolymer, PVP, Polyacrylamide, Dimethicone/ Vinyl Dimethicone Crosspolymer, Phenoxyethanol, C13-14 Isoparaffin, Butylene Glycol, Laureth-7, Trisodium Ethylenediamine Disuccinate, Ethylhexylglycerin, Parfum, Silica, Magnesium Aluminum Silicate, Tripeptide-3.